The new HTC Firestone... or is it? HTC has had pictures of another of its new devices, the HTC Firestone, leaked onto the net prior to an anticipated summer launch. The new phone will apparently rock Windows Mobile 6.5, although the August launch date rumoured seems to counteract this idea, as the latest Windows OS isn't expected until Q4. However, it's also likely that August is simply the launch date, with November the actual release of the latest in HTC's line of 'business' models. 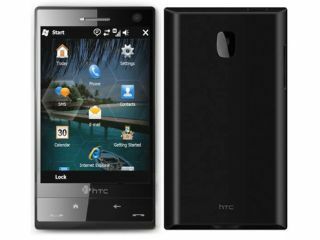 The new phone will take over from the HTC Touch HD in the Taiwanese firm's range, and will come with a 3.6-inch WVGA screen with a 600MHz processor, according to Thai site Sanook. Also improved is the 8MP camera, although looking at the pictures there isn't a flash on board, which is strange for such a high end sensor. The on board memory will be increased to 256 RAM and 512MB of ROM, with microSD expansion also anticipated. The pictures, which could simply be the work of a decent Photoshopper, show the phone using an unskinned version of Windows Mobile 6.5, which would be a new move for HTC, which traditionally likes to overlay its TouchFLO 3D interface over the top of any system. The translated site says the phone is subject to changes, so we'll have to wait and see if this is the real deal or the work of some opportunistic Photoshop wizard.